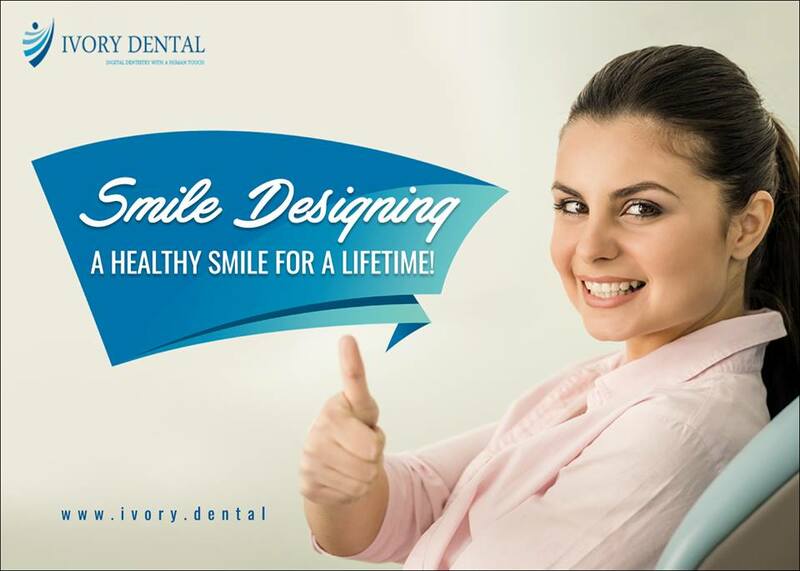 Smile Design is a designing process that brings few changes to your smile to boost up your overall aesthetic appearance and perk up your self-confidence. The smile designing process involves clubbing few procedures to improve the appearance. This is accomplished by filling the gaps left by loss of teeth, improving the contour of the teeth, proper arrangement of your teeth, improving the outward show of your teeth and casing any abnormality in the teeth. The changes can be very little and yet have a reflective result on your appearance. 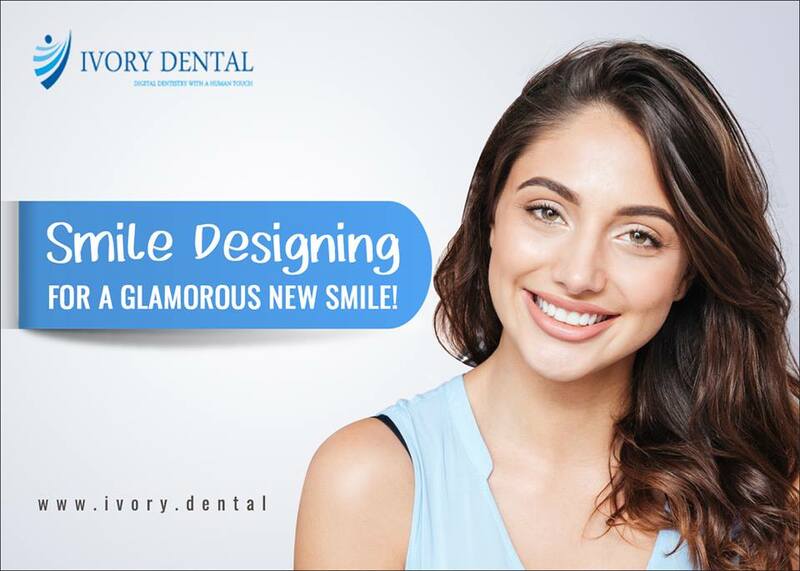 At Ivory dental clinic, our dentist assesses the oral cavity and plans the appropriate treatment methods to enhance the smiling stance and initiate the smile design process. We obtain an impression from the patient to provide a visualization of the outcome according to the treatment plan. This allows the patient to visualize the outcome along with digital images to understand what all changes are required to bring in a beautiful and pleasing smile. Vertical Symmetry: a mid-line symmetry produces a perfect smile. Smile Line: A smile line is a line that connects the edges of the lower and upper teeth. A perfect smile line has a curve to the lower lip. Gingival (gum) Line: the gum line should be symmetrical and follow the upper lip. Only the pink triangles of the gum should be visible while smiling. Golden Proportion: The most important aspect of a smile design process is to attain the right proportions that indicate the number of teeth visible while smiling. Embrasure Space: Embrasure space is the space between the tips of the teeth and should be smallest in the front and increases when moving inwards. The smile designing ( Smile Correction ) treatment process involves a set of procedures that produce an instant result. The procedures involve teeth whitening process and remove traces of staining and discoloration of the teeth to enhance the aesthetic appearance and beauty. Smile designing process rectifies the disorientation of teeth that are chipped, crooked or overlapped and fills in the gaps caused by a missing tooth or set of teeth. Ivory dental clinic offer services to have a beautiful smile and mark a distinction in the quality of your life within a very short period of time. We offer services for smile designing process and ensure that the patients are equally satisfied and astonished at the treatment options that are available from our centre. To know more about smile designing treatment and smile correction cost, book an appointment now.